Under NRS 211, inmates completing their G.E.D and/or 8 sessions of Substance Abuse are eligible to receive a 5-day early release from custody. 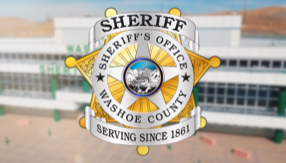 Work Readiness: The Washoe County Sheriff's Office (WCSO) implemented an offender "Work Readiness Program" (WRP). This program will introduce offenders to many different soft skills needed to prepare for work including: goal setting, job searching resources, grooming, manners, explaining criminal history, identifying characteristics which make a good employee, job application preparation, job interview tips, and how to keep the job. The workshop presents information in a positive manner aimed at enhancing offenders' self-esteem. Through Interactive Journaling® offenders learn to cope with the challenges they may face following their supervised release or release from incarceration. Challenges may include dealing with substance abuse issues, mental health disorders, or the transitioning adjustment from incarceration to the community. 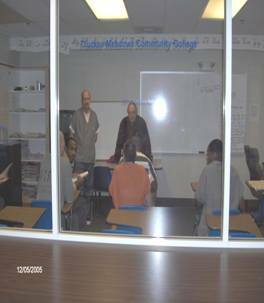 Goal Setting Course: Inmates are taught to set SMART (Specific, Measurable, Achievable, Rewarding, and Trackable) goals. Setting goals gives inmates long-term vision and short-term motivation. It focuses inmates' acquisition of knowledge, and helps them to organize their time and their resources so that they can make the very most of their lives. G.E.D./Vocational Skills: Participants work on secured on-demand multimedia vocational computer based training with pre-testing, post-testing, lab experience, and certification. Participants have access to program volunteers Monday - Friday, to offer assistance as needed. Domestic Violence/Substance Abuse: American Comprehensive Counseling Services (ACCS) is a privately owned corporation serving Northern Nevada since 1997 that offers a full complement of outpatient mental health assessment and treatment services. ACCS currently provides these services on a contract basis for Washoe County inmates. These services include certified domestic violence, substance abuse group treatment programs, and Parenting and Family Programs. ACCS is committed to enhancing public safety via excellence in psychotherapy and risk/needs assessment. Women's Empowerment Workshops: Focus on the theme that self-esteem and self-respect empowers women to escape abusive situations. It is this awareness/empowerment that is often the deciding factor whether a woman decides to take action to seek help for her situation or remain in an abusive relationship. Presentations have evolved to include interactive discussions about violence and self-esteem as applicable to the women's own experiences, rather than simply lecturing to the women about these topics without context. It is through these discussions that the women build a rapport with Safe Embrace staff. This rapport has proven to be the key factor in a woman's decision to seek services after incarceration. Asana (Yoga): Around the world, yoga is used for everything from meditation to weight loss. Now, the Washoe County Sheriff's Office is using Asana (yoga) classes, taught by volunteers, to help women in the custody of the Detention Facility manage stress, anger and other emotions in the hopes that it will prevent actions that could lead them back to jail. Twice a month, on Saturday afternoons, volunteer instructors facilitate yoga classes for eligible women in custody at the Detention Facility. The classes focus on teaching skills such as breathing exercises and yoga positions known as Asanas to help improve individual well-being through the interconnection of mind, body, emotions and spirit. Veterans Justice Outreach (VTO): A Veteran's Affairs based program that works with local law enforcement and the courts to provide eligible Veterans the treatment they need. A VTO Specialist identifies Veterans in the legal system, determines if they are eligible for VA care and assesses their needs. Assessment includes medical, mental health, housing and substance abuse treatment services. If the court imposes supervised treatment rather than jail time, the VTO Specialist will coordinate the needed services through the VA Sierra Nevada Health Care System. ServSafe Food Handler Certification: The program covers five key areas: Basic Food Safety, Personal Hygiene, Cross-contamination & Allergens, Time & Temperature and Cleaning & Sanitation. Course books will be provided prior to the session date. The Inmate ServSafe Certification Program culminates with the issuance of the National Restaurant Association's ServSafe Certification exam. Certification is valid for 5 years. A minimum score of 75% is required to receive certification.